When it comes to making a statement to the world about your personality and style, a fresh new hairstyle is the way to go. Your hair speaks volumes about who you are as a person. 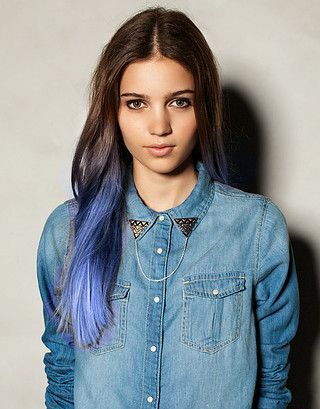 So, if you want to let everyone see that you are young, fun and wild – why not opt for some bold blue ombre? 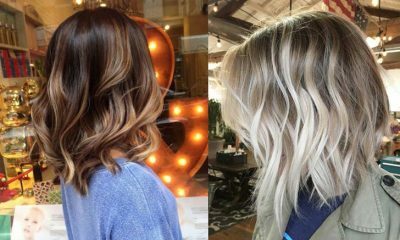 This totally on trend style has been popular for a while now but we usually see girls rocking two natural tones, such as blonde and brown, when they wear ombre. If you dare to throw some shades of sapphire into the mix, then be prepared for plenty of heads to turn! 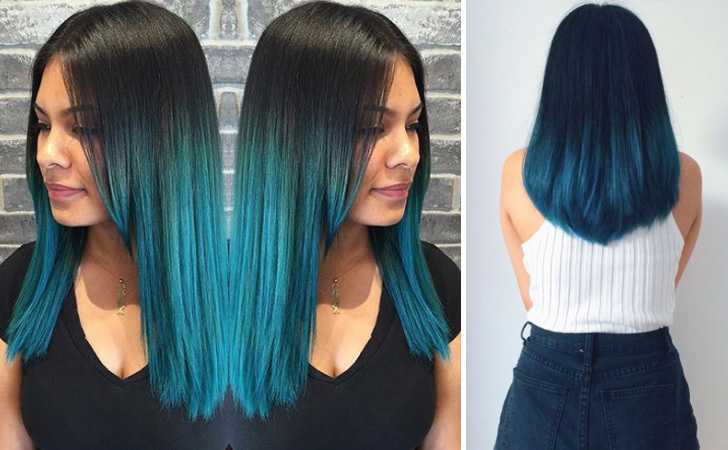 We simply can’t get enough of beautiful blue ombre, so here are some awesome of our favorite blue ombre hair ideas to inspire you. Let’s be honest. Who didn’t grow up wishing that they were a mermaid princess? 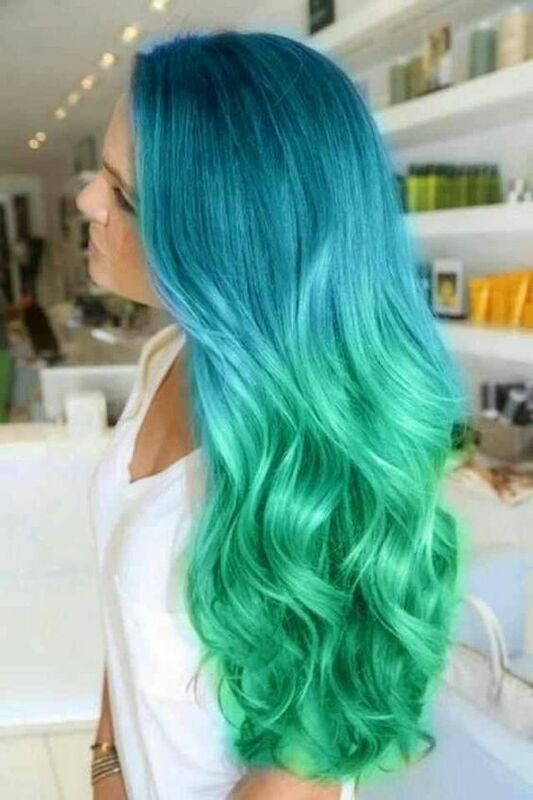 Now you can make your childhood dreams come true with his shimmering blue and green ombre look. 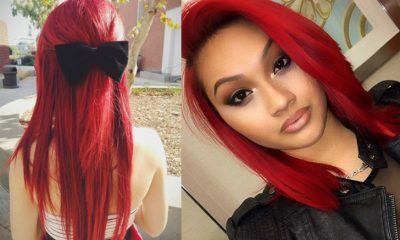 These colors will look especially beautiful on girls with long, flowing locks and plenty of time to maintain their hair. Here is another style which uses the combination of blue and green. We just can’t get enough of these two shades together. It stands out even more against a backdrop of black or very dark brown hair. 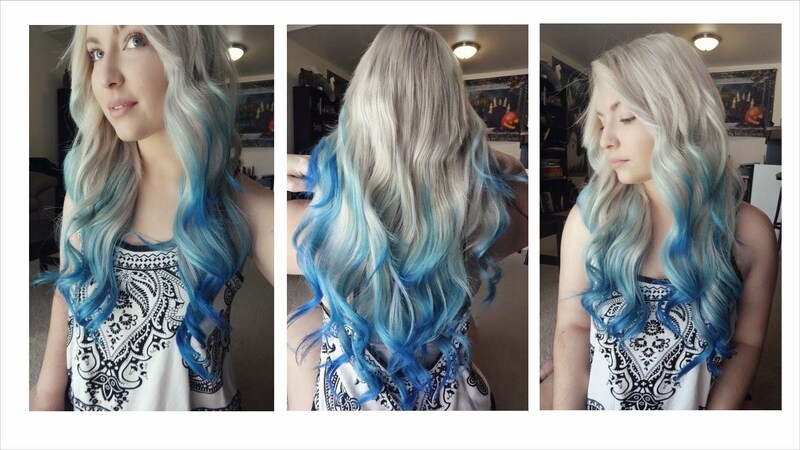 Blue tones can look just as magical when teamed with icy blonde hair. 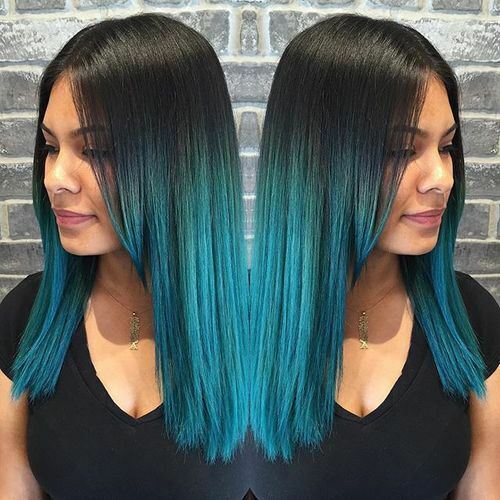 If you feel like standing out from the crowd this summer, get inspired by this style and add some ocean blue tones to the ends of your beach waves. 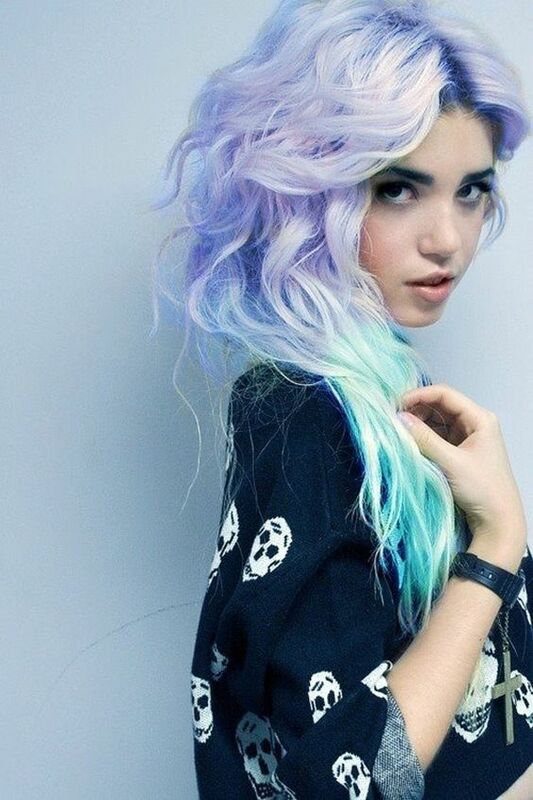 Icy blonde hair and blue ombre seem to be a match made in heaven, as here is yet another idyllic look. This style is a lot more subtle and we think the pastel turquoise looks almost ethereal. Team this look with blunt bangs and red lipstick for a guaranteed way to stand out from the crowd. You don’t have to team your blue ombre with a dramatically dark black or icy blonde. This model proves that the style can work just as well with a soft, natural brown. We love the gentle transition from brunette to neon blue. There was a time when people did everything they possibly could to hide their grey hairs. We’re glad to say that those days are long gone as the silver hair trend is taking the world by storm. 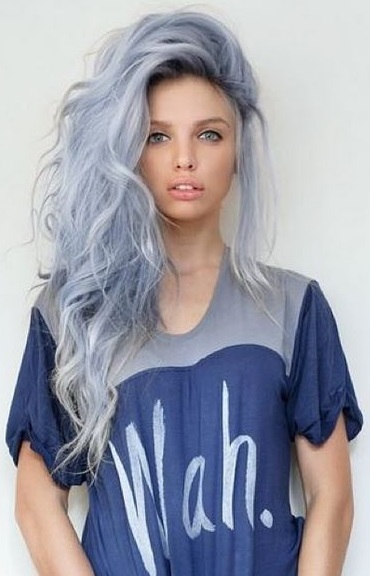 The mixture of silver and blue ombre looks completely dreamy especially when worn in this messy, carefree style. 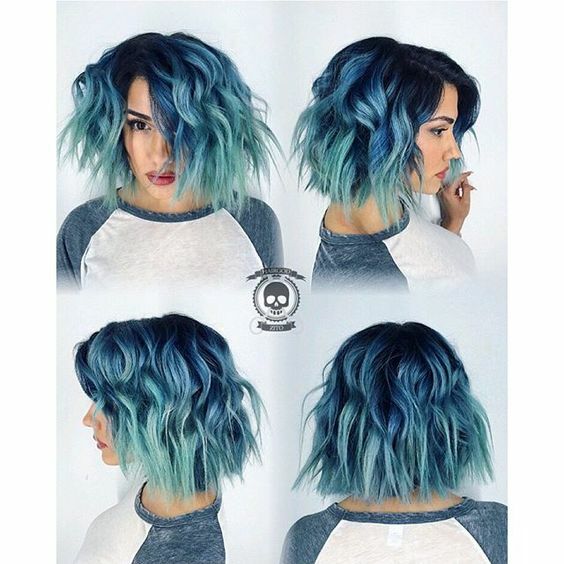 If, by any chance, blue ombre isn’t quite bold enough for you – you can rest assured that teaming this trendy style with a sleek, graduated bob definitely will be. This effortlessly cool haircut never goes out of fashion and the blue shades give it a modern twist. Shaving one side of your blue ombre hair is yet another way to double the drama of this style. The shaved side is an extremely edgy look that can be worn by confident rock chicks with long flowing locks or even short pixie crops. It goes without saying that dark hair with a touch of blue ombre is a startlingly stunning hairstyle. Why not try wearing your hair poker straight with a side parting? All you need for this look are some straightening irons and a little bit of patience, but the results are completely sleek and smooth. 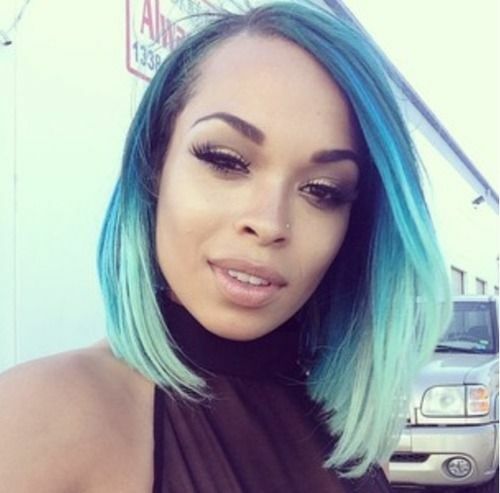 So far we’ve on really seen how gorgeous blue ombre can look on hair worn down and loose. But don’t worry! Blue tinted tips look just as perfect when worn up, as this silver and sky blue hair worn in an effortlessly chic bun proves. The colorful combination of lilac and baby blue looks almost good enough to eat. Bear in mind, though, that this style can be extremely high maintenance and might require a lot of bleaching. If you have naturally light hair you can pull this off and look dazzling with a lot less hassle. We all know how well blue goes with colors such as green or lilac. However, baby blue and pastel pink is not such a common combination. 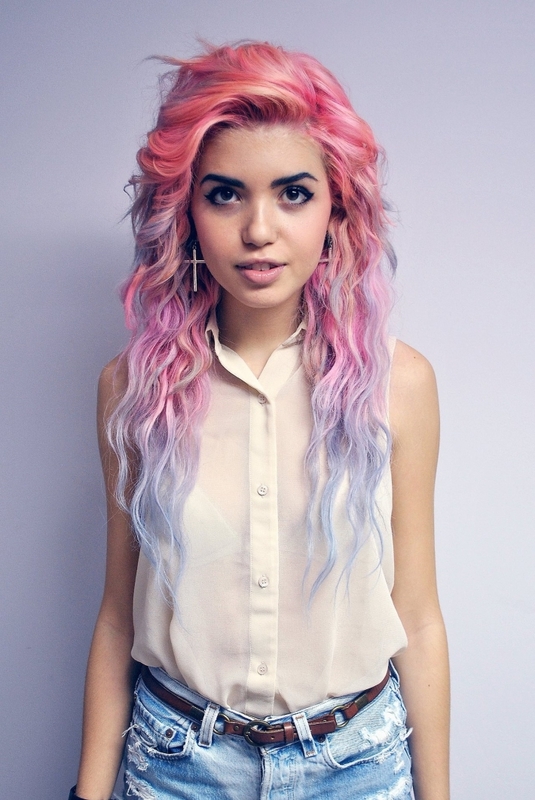 Add a few streaks of rosy pink to your blue ombre locks to make a really bold statement about your carefree style. 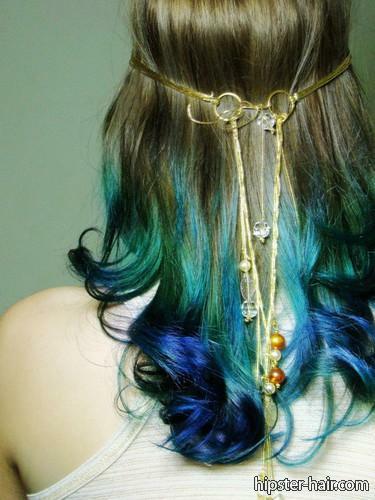 Earthy, soft brown hair with tints of blue and green looks beautifully bohemian. The addition of beach babe waves and a 1970s style hair accessory perfectly finishes of this hippy chic style. The mixture of black and sea foam blue with subtle hints of white in these braids looks stunning. The great thing about these perfect plaits is that they look just as good long and flowing as they do worn up in a high bun or all tied into one big braid. 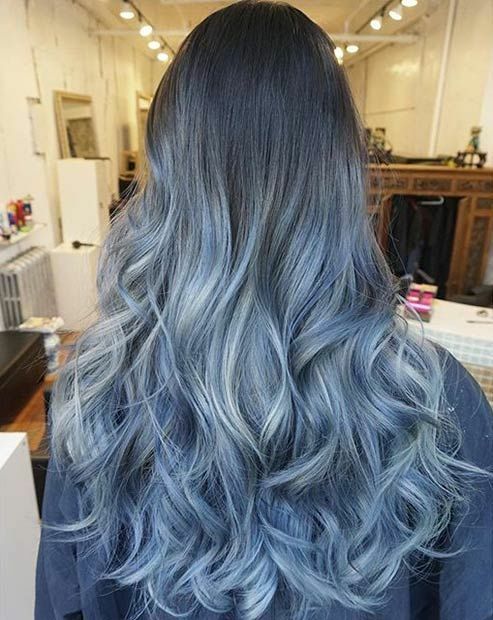 This stunning hairstyle shows off shades of steely silver and pale blue. The big bouncy curls add volume and movement to the hair. Opt for this look and your hair will look healthier than ever. 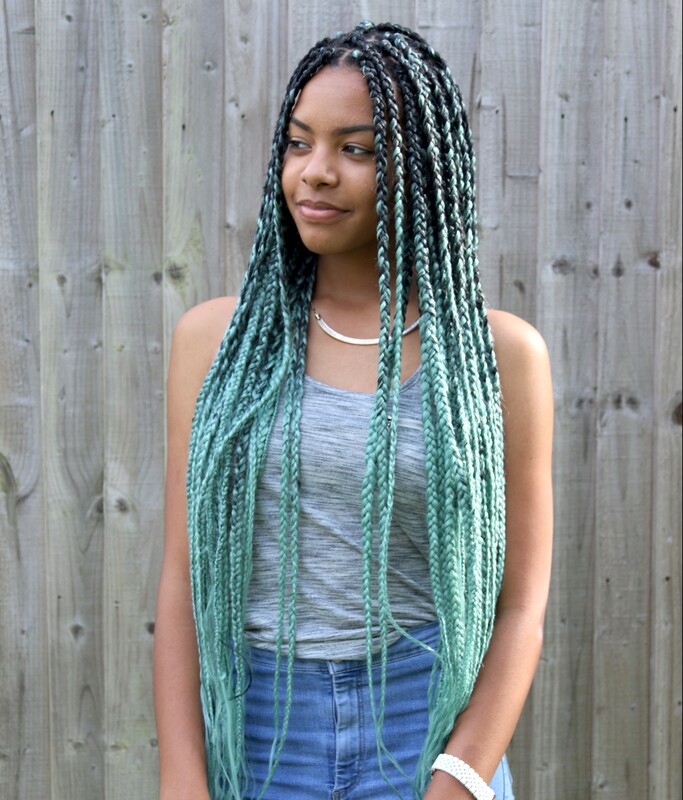 Blue ombre looks gorgeous on all hair textures and lengths. This short, choppy bob is a completely up to date cut and the many different tones of blue will look cool and vibrant on any girl. 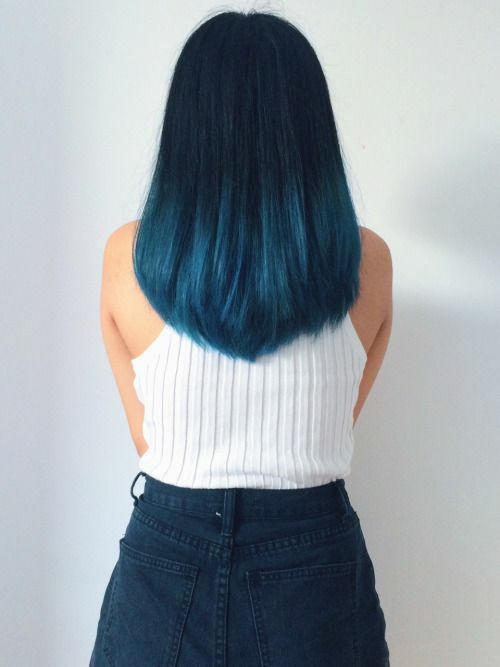 We love this reverse ombre look because it almost looks as though her natural hair color is a deep aqua blue. Try out this style if you want to flip the ombre trend on its head, literally. 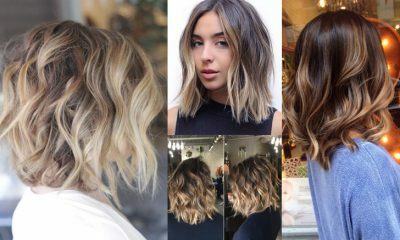 A long bob, also known as a ‘lob’ is the most fashionable haircut around right now and it’s easy to see why. This cut is flattering on girls of every size and shape. 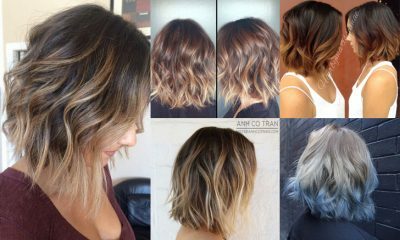 The only thing that could improve the long bob is some deep ocean blue ombre. Blue ombre is, of course, a bold look which will make you stand out from the crowd. However, there are plenty of ways to make this look appear mature and professional. We love the soft, subtle tones of teal in these long black locks. 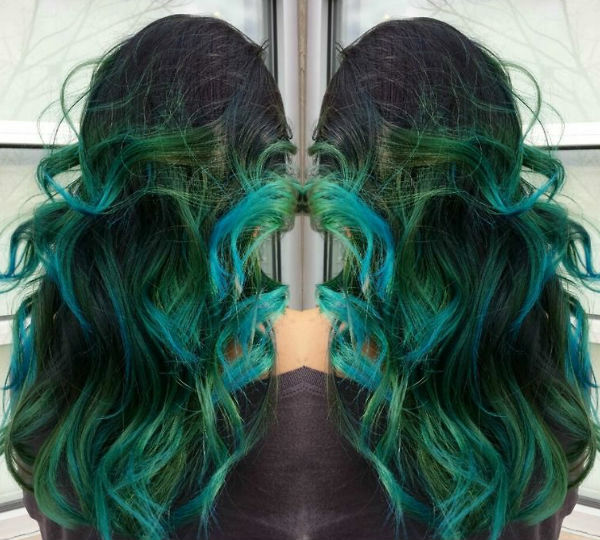 From the deep side parting, to the long bob length and, of course, the vibrant blue and green ombre – this hairstyle is about as cool as it gets. Do you love these ombre hair? Find more fashion tips and ideas on her style code!